I must say it has been quite interesting writing this blog and sharing my experiences while living and working aboard the M/V Sea Hunter. I could be right in the middle of typing the words to a specific story, when out of nowhere my mind goes to another event or conversation I had while on the ship. It is almost always unrelated to what I am writing about, but is usually something I completely forgot about. However, it mostly brings a smile to my face and that is always good. I sometimes jot it down in hopes I can use it in the future (I can’t depend on my brain to remember it twice). Over the past three and half years there have been countless conversations I’ve had or listened to while aboard. But then again, how could there not be with so many interesting characters that have spent some time on the ship. Throughout the many years Greg has been in the treasure hunting business, he has employed a number of different men. 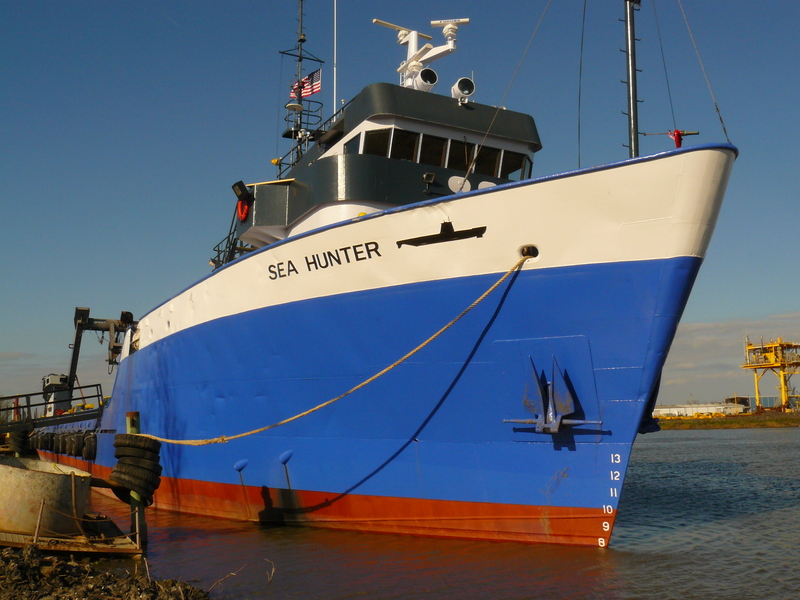 Currently, there is a core group of crewmembers that have been with Sub Sea Research from the time the M/V Sea Hunter was purchased in Louisiana. Out of that core group, a few have been with him for many years prior. And then of course, we have had some come and go (that’s a whole different blog). But each and every person (either still with us or not) has shared parts of who they are. So many people over the years have come up to me and asked if I could help get them a job on our ship. Others have seen us docked somewhere and will just walk up and inquire about work. Some have specific skills or qualifications that pertain to what we do, however most don’t. They have either read or heard about what we do and just want to be part of it. Greg has even had calls from people stating they would work for free, anything to get on board and be part of the Port Nicholson experience. I could probably fill a few volumes with those stories, but instead I decided to give a little glimpse into some of the men who work for SSR. Each week I will highlight one specific person in hopes that you, the reader, will get a better feel for who they are and what they do. I am convinced not many people could do what we do. It takes a special kind of person to work year after year in sometimes dangerous and mostly dirty situations. To work in extreme weather conditions, sometimes for up to 15 hour days. And then to be able to live and work with those same people in such close proximity as they have on the M/V Sea Hunter. Again, these will be MY own experiences and observations. Seen through the eyes of someone, until three and half years ago didn’t know the difference between the bow and the stern. Today, I know a bit more about ships, rov’s, salvaging and living in tight quarters. This was all possible due to my curiosity and questions and to those that shared their knowledge. And for that, I will forever be thankful!